These cute and diverse amphibious animals come in all shapes and colors, from enormous ancient sea tortoises to adorable little creek turtles. 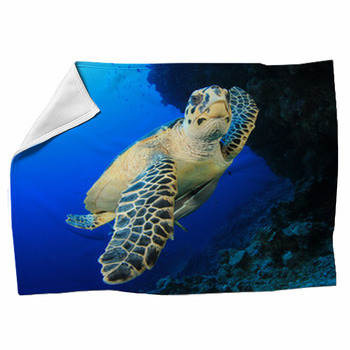 Spend quality time with these interesting animals with our turtle blankets. Our furry fleece blankets bring your favorite reptiles to life with realistic photographs and fun play images perfect for young children. 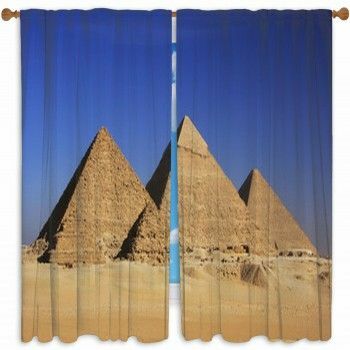 Animal lovers will love to decorate their living rooms with practical throw blankets for snuggling up on the sofa or armchair. 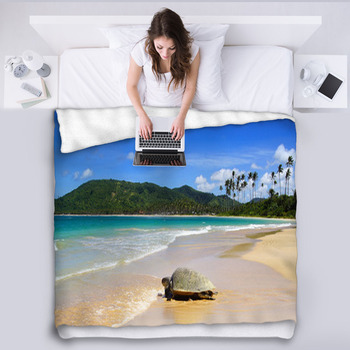 On woven blankets these tropical turtles will fit great into beach theme home décor and make a great portable blanket for road trips and outdoor outings. 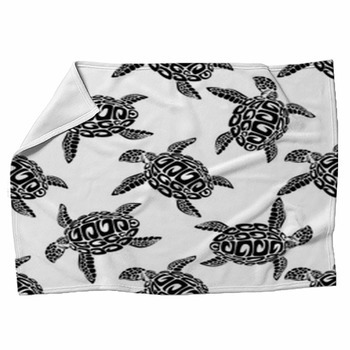 Bring your playful turtle throw blanket to the beach for a sand-free picnic. 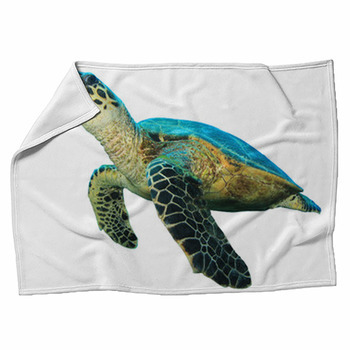 For joyous and comfortable decorating in your young child's room, use one of our fleece blankets with a smiling illustrated turtle in bright colors. 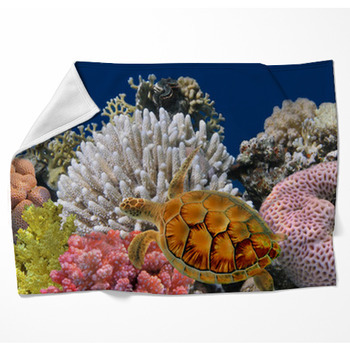 We also have fleece blankets with a playful cartoon turtle surfing a big wave or having beach-time fun with its family. Our woven blankets can even show off your Hawaiian pride or heritage with Hawaiian style sea turtle print in bright pinks and yellows. 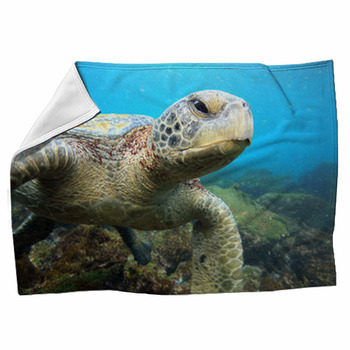 Taken with incredible detail, our underwater photographs of different turtles appear brilliant on our throw blankets. 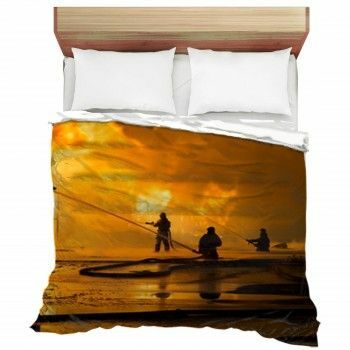 Your room will be instantly transformed into a nature program or magazine when you toss a warm turtle throw blanket anywhere in your home. Young children love animals and they give them a sense of wonder and intrigue for the natural world. 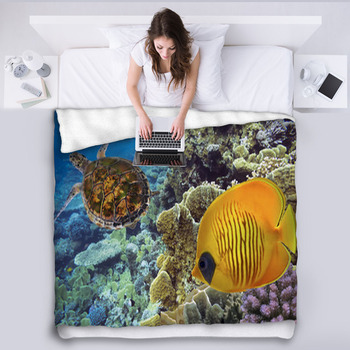 Decorate a child's first room with our woven blankets with turtles on them and see their eyes sparkle like tropical waters. 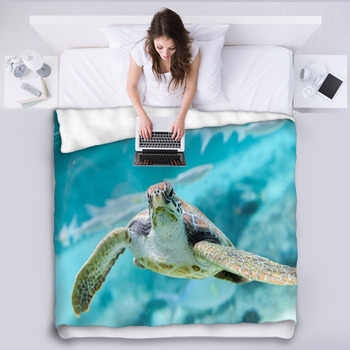 Create a turtle themed room with other products like turtle pillows, wall murals and more to fashion a play space unlike any other. 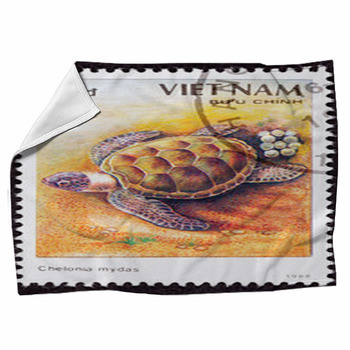 The bright colors of tropical seascapes and beautiful turtles will amaze any young child, boy or girl.